Buy 14 or more for $14.24 each. 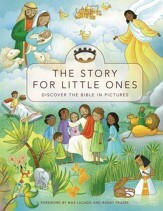 With 365 Bible stories, there's a Bible story to read every day! 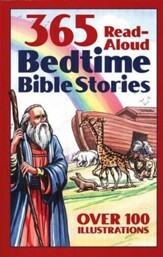 Perfect for bedtime or anytime, this collection is an excellent way to introduce young children to the most special friend that they can have-Jesus Christ. Carine MacKenzies 150th Book. 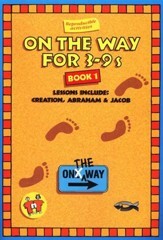 With one story a day this book will give you enough Bible stories to last all year. There is also an opportunity to track a theme such as Salvation; The Holy Spirit; Gods Word and by looking out for the key picture as you flick through the book. Be sure to remember that this book is not about how fast or slow you read, or how many days you spend going through it. This book is about discovering the good news about Jesus Christ from Genesis to Revelation. You can also make a special friend, Jesus Christ, the true Saviour. He is with his people always no matter what time of day or what month of the year it is. Gods word is true always. Read it and learn from it and follow it all the days of your life. 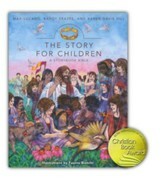 Carine MacKenzies talent for retelling Bible stories has meant that children from all over the world have been given the opportunity to discover Jesus Christ for themselves. 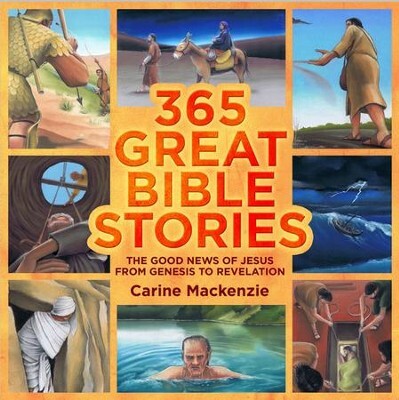 Carines 150th book 365 Great Bible Stories was released in July 2011. She has sales of several million books and lives in Inverness, Scotland. I'm the author/artist and I want to review 365 Great Bible Stories.